If you have concerns about your cooling system, find sensible answers to your questions here. Why some people suggest air duct replacement instead of repair? Sometimes, the cost of air duct replacement is less than repairing the problems. 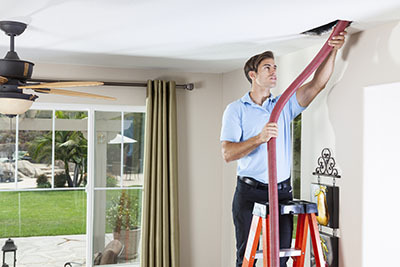 Sometimes, air duct repair doesn't solve all problems. If the ducts are old and seriously damaged, you would need air duct cleaning and definitely many repairs. Instead of paying for all that including air duct coating repair, you can save time, money and energy by getting new ones and ensure fresh indoor air quality at home, too. 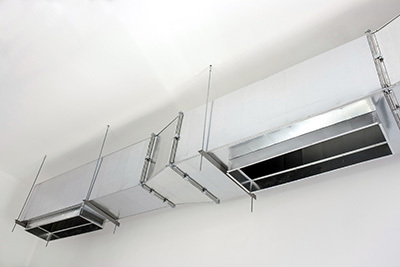 How dangerous is the accumulation of pollen and mold inside the air ducts? Since these HVAC system components are responsible for the circulation of air around the house, pollen and mold found inside them are pumped into the rooms between five and seven times a day. This poses a higher risk of allergies, especially for young children and the elderly. Should my kitchen exhaust system be cleaned? Yes. Cleaning your kitchen exhaust system will prevent buildup of mold, mildew, and germs in the vents. What does duct cleaning actually mean? Your air duct can turn out to be both a source and a pathway for contaminants to enter your home or your office. These contaminants include dirt, dust and organic particles which can easily pollute the air and put your health at risk. This is why duct cleaning is carried out to make sure that the contaminants are removed and the HVAC components are kept dry and tidy.